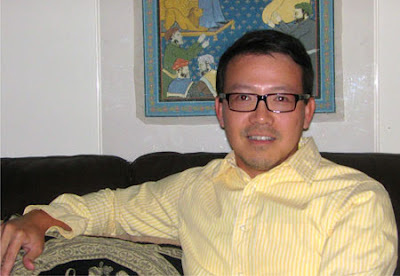 When Hwee S. Wee arrived at Douglas College from Singapore to pursue a Bachelor of Science in Psychiatric Nursing, he knew that he needed to hone his writing skills. Eager to learn more about the country he now calls home while developing these skills, Wee enrolled in a first-year Canadian literature class with Professor Ryan Miller at Douglas College. Through the works he read, Wee experienced the lives of Canadians at different times and in different places. “As the course progressed, I became increasingly aware of the different cultures, realities and peoples that have contributed to what Canada is today,” he says. Wee says that for professionals in the psychiatric nursing field, such awareness is vital, as it helps both practitioners and their patients come to terms with the cultural attitudes toward and prejudices about mental illness. After submitting a series of insightful essays on a wide variety of Canadian literature topics, Wee received the highest mark in Ryan Miller's class. In recognition of his achievement, the English Department recently awarded him the Susan Wasserman Canadian Literature Scholarship. For Wee, this award is simply proof of “just how much more there is to discover and learn” about the productive therapeutic relationship between literature and psychiatric nursing, a relationship that he is keen to explore further as he continues his studies at Douglas College.